Divers learn early on in their training how to share air with another diver. Most divers carry an ‘octopus rig’ – a spare regulator enabling them to share air with their buddy if necessary. If a pony bottle is carried, then a separate air supply is available. Every training agency dictates that divers should dive in pairs, and the person with you is usually known as a buddy. 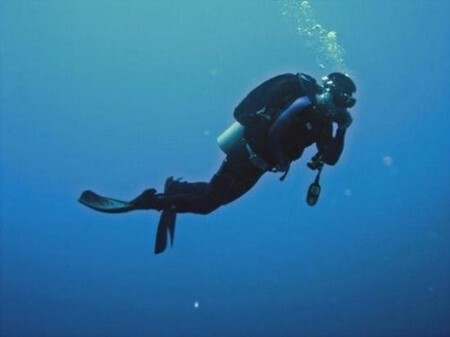 Diving agencies recommend diving with a buddy so that there is help at hand in an emergency. However, diving with a buddy is no excuse to be sloppy about your preparation or the way you conduct yourself underwater. All divers should be trained to be totally competent and able to rescue themselves if something should go wrong. You should not think that you have a buddy because you are going to need one – but rather that your buddy may need you. When you are learning to dive, you usually feel confident that nothing will go wrong because you have an instructor close by. But who will come to your instructor’s aid if things go wrong? Your diving instructor must know how to get out of tricky situations without help. In most cases, during the early stages of your training, a dive master or an assistant instructor will help the instructor. Later, you may find yourself diving with an instructor or a dive guide and no one else. In this situation, the instructor or dive guide is effectively diving alone. To become a truly competent diver, you must learn (as your instructor has) how to cope if something goes wrong when you are on your own and you cannot rely on your buddy. Why dive with a buddy? It’s good to dive with a partner because it makes sense to have someone to discuss the dive with before you descend into deep water. Dives should always be planned carefully, and any defects in the dive plan need to be identified and corrected. There is a greater chance of spotting any potential difficulties if there are two divers to go over the plans. It’s sensible to have someone else look over your equipment and point out any problems in the way you have rigged it. It’s also useful to have someone to help you put on your equipment. A buddy check enables your partner to become familiar with your gear. This is especially important if your equipment is not the same. In a similar way, you can become familiar with your buddy’s equipment. Once you are underwater, you will see and experience many fantastic things. There is something wonderful about sharing this exclusive world with another person, and many good friendships form between buddies. It’s great to have company, and when you return from a dive, you will have someone with whom to share the memory.